At Creek, the environment allows for different ages to mix together thoughout the day. We believe that this is a natural situation conducive to learning. Younger children have the opportunity to learn from older children; children developing at different rates are allowed to do so, free of peer or adult pressure; children developing skills can learn to share and help; and all children develop an awareness and respect for the individuality of others. Within this framework, we also provide small group learning situations geared for each individual’s developmental level. 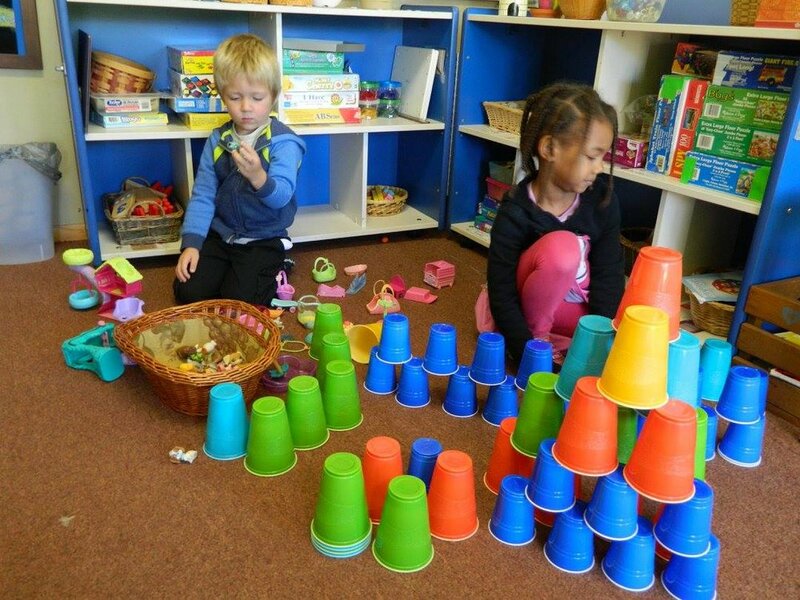 Children have the opportunity to engage in a wide variety of learning activities throughout the day. Art projects are used as a pleasant means of developing such important skills as eye-hand coordination, fine motor coordination, ability to follow vocal and visual directions, etc. Art also serves as a means of creative expression. We expose children to good reading experiences and help foster a positive attitude for reading. An area especially designed for the exploration of books is key. 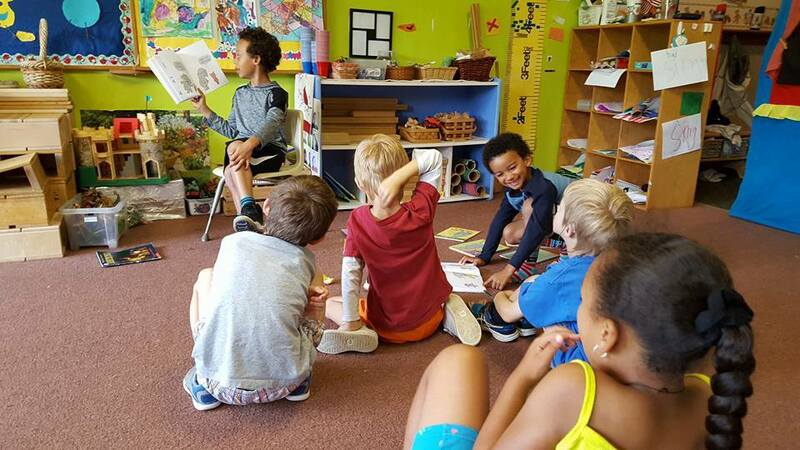 Children are read to in groups several times each day, and may choose to look at books independently or with their friends. In addition to books, the environment is set-up to promote literacy. Items are labeled throughout the center, posters, alphabet letters, games, notebooks for writing, and a variety of activities are provided for rich exposure to print. Counting and other math concepts are taught informally through activities such as cooking, sand and water play, block play, and table games. Beginning counting and math concepts are taught more formally in the small groups. Science activities are intended to help children become aware of and feel comfortable with some of the basic patterns and principles of the physical world. We explore such topics as plant and animal development, seasons, weather, climate, evaporation, gravity, magnetism, etc. We encourage curiosity about and respect for the world’s physical environment. Music is used throughout the day in a variety of ways and for a variety of purposes. We use music experiences to teach, to entertain, and to relax. We attempt to expose children to different kinds of music, to help them become aware of music, to appreciate it ,and to develop their own musical abilities. For self-discovery we provide a dress-up area which offers materials for a wide variety of role playing experiences. Children also have opportunities to participate in puppet plays, acting out stories, and creative movement activities. Animals may be present in the classrooms from time to time. Children are fascinated as they observe different kinds of life and learn to develop respect and responsibility for the care-taking of pets in the classroom. Pets are limited to fish, small animals, or insects. Adults are always present to supervise the handling of pets. Children are given regular opportunities to help prepare and taste different foods. Cooking activities with preschoolers helps them experience many fundamental concepts that are new to them. Examples are: color, texture, smells, measuring, comparisons, volume, solids, liquids, and converting substances from one to another. Social goals include learning to take turns, sharing, listening to directions, learning to vocalize experiences, and learning about different cultural foods. This skill, essential to future writing and other school-related activities, is encouraged in planned activities throughout the day. 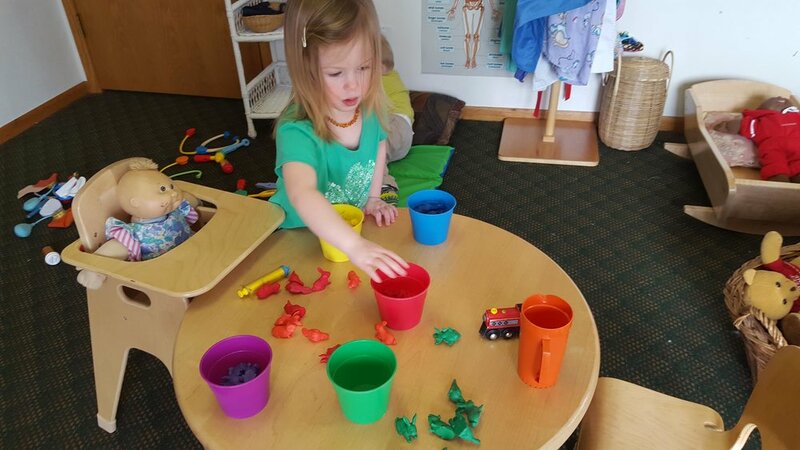 The center also provides a large selection of small manipulatives to promote fine-motor skills such as puzzles, legos, peg boards, blocks, etc. Large muscle developement is encouraged indoors through a wide variety of games and movement experiences, and through the use of equipment such as climbers, tumbling mats, large blocks, etc. A large, pleasant outdoor area provides an interesting variety of natural materials for active and imaginary play. Other playground highlights include a garden, sledding hill in winter, and blacktop area for bikes. The Penguin classroom uses a 4-K approved curriculum, however it is not part of the MMSD 4-K program. The 4 year old program provides a similar learning experience for the entire day, more than preparing children for kindergarten.